Sweden’s pack of Heavy Metal stalwarts, WOLF, returns with their seventh studio album entitled simply Devil Seed. The album will be released on August 25th in Europe and on September 2nd in North America via Century Media Records and today the band is premiering their first music video. Dave Lombardo’s PHILM has announced that their long awaited second studio album, Fire From The Evening Sun, will be released on the band’s new label, UDR Music, on September 16, 2014 in the US (September 15 in UK/September 12 in other European territories). If ‘Fire From The Evening Sun’ is any indication, this album will not only give Lombardo fans what they have so passionately missed, but will take us on a heated musical journey that will leave us soaked in sonic beatitude. PHILM – Gerry Nestler (vocals, guitars), Pancho Tomaselli (bass) and Dave Lombardo (drums) – will hit the road this fall in support of the album by performing several shows throughout Europe and the U.S. with more dates to be confirmed. See below for full list of dates confirmed so far. 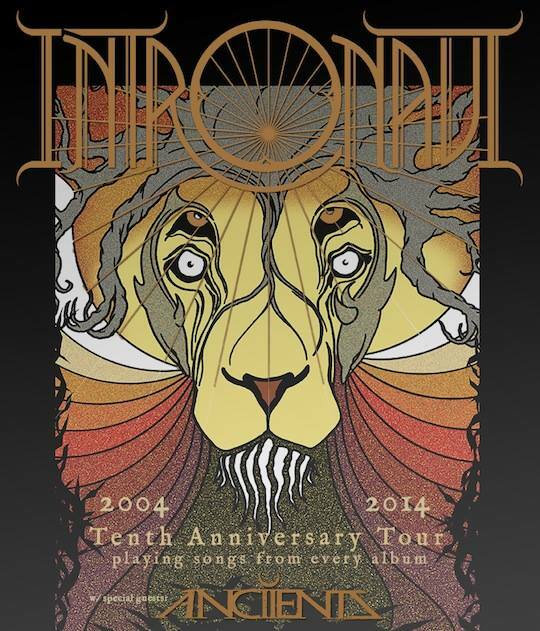 INTRONAUT Announce 10th Anniversary Tour! INTRONAUT have announced that they will be hitting the road again following a short break and their recent tour with TesseracT. This special run of shows is in celebration of the band’s 10 year anniversary and will also feature ANCIIENTS! The band has been on the road in support of their current albumHabitual Levitations ever since its release on Century Media Records in March of 2013. Author capitalchaostvPosted on July 28, 2014 Categories UncategorizedLeave a comment on INTRONAUT Announce 10th Anniversary Tour! (New York, NY) – Chelsea Grin has released their music video for “Clockwork” The video was directed Ryan Sheehy. Chelsea Grin’s new studio album Ashes To Ashes (released via Artery Recordings/Razor & Tie) charged onto the charts this week debuting at #27 on the Billboard Top 200 with over 10,100 units sold in its first week of release. This marks Chelsea Grin’s highest career charting debut and also their biggest U.S. sales week. The album also enters on a number of other Billboard charts including #4 at Hard Music, #8 at Rock and #16 at Digital. Chelsea Grin’s Ashes To Ashes was produced by Chelsea Grin and Diego Farias (Animals As Leaders, Volumes, Stray From The Path). The band is currently on the road for the full Van’s Warped Tour. Tour dates HERE. Buy Ashes to Ashes now at iTunes Store HERE and MerchNow HERE. OVERKILL has debuted another all new music video for their newest single “Bitter Pill” exclusively today. Directed by long time collaborator Kevin J. Custer, the video is the fourth time the veteran director has directed an Overkill video including “Armorist,” released most recently. 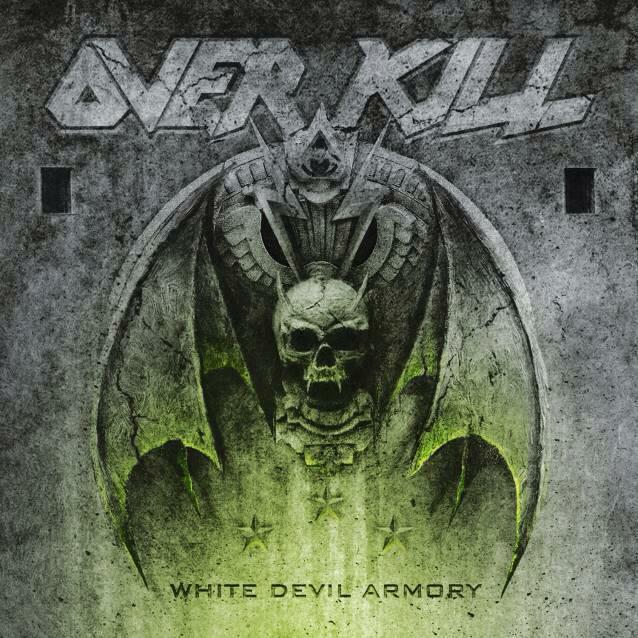 OVERKILL will release their seventeenth LP White Devil Armory tomorrow via eOne Music in North America, and July 18th overseas via Nuclear Blast. The effort is the follow up to the critically acclaimedThe Electric Age released in 2012. The band has quite a bit of touring lined up with a highlighted performance scheduled at Heavy Montreal Festival on August 9th. After that the band will embark on a U.S. tour, view all dates here. Tickets are on sale now. This year’s White Devil Armory is as vital, powerful, aggressive and melodic as any of the albums in Overkill’s ridiculously impressive back catalog, which stretches over 16 slabs of genre defining and redefining molten metal. The crunch is unmistakable. The voice is irreplaceable. Get less than a minute into White Devil Armory and it’s clear it’s Overkill. No pretense, no musical red herrings. This is tried and true, always trusted thrash metal. 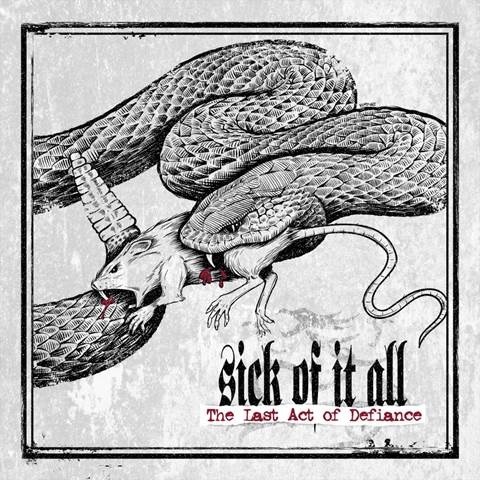 “The Last Act Of Defiance” was produced by long time friend and producer Tue Madsen who recorded the album at Nova Studio in Staten Island, NY while mixing it in his own Antfarm Studio in Denmark. 23.07.14 (A) Graz – P.P.C. for tour dates and other frequent updates. 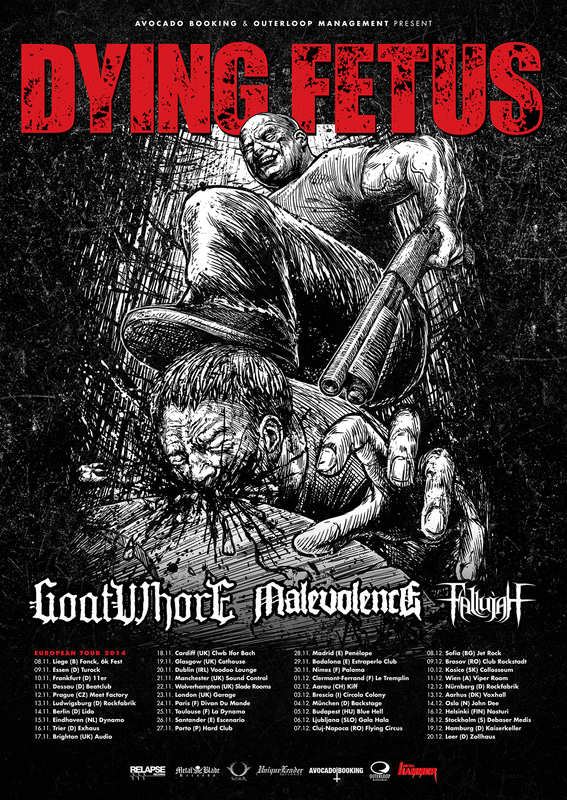 Additionally, DYING FETUS will be direct support for Morbid Angel on this year’sSummer Slaughter Tour. The month long tour kicks off tonight in San Francisco, CA and features an all start line-up of extreme metal bands including The Faceless, Origin, Decrepit Birth, Goatwhore, Thy Art is Murder, Within the Ruins andFallujah. A complete listing of dates is included below. DYING FETUS released their latest full-length Reign Supreme in 2012 and will be returning to the studio following their European tour to begin work on their 8th full-length due out in 2015 via Relapse Records. A video for the Reign Supreme track “Second Skin” can be viewed HERE while the album can be streamed in it’s entirety HERE. Finally, the trio have made their way onto Instagram and can be followed at@DyingFetusOfficial.